Geothermal energy’s main advantages are that it is generated cleanly and renewably. That is, electricity produced by geothermal plants produces no carbon emissions or air pollution like burning coal, gas, and oil do. Of course, producing clean electricity is better for human health and the environment because of the lack of air pollution. Millions of human deaths occur each year from air pollution. In fact, in 2012 the World Health Organization found that an estimated 7 million died in that year from it. Air pollution also negatively impacts wildlife, including fish. Geothermal energy technology can be built at the utility-scale and it can be installed in structures like homes and businesses. For both applications, geothermal energy is available constantly, unlike solar and wind power. When used by utilities, geothermal electricity can be used to provide backup to grid systems. For example, when there are surges in electricity demand, geothermal can help fill in the gaps to make a grid more stable. Another thing that makes geothermal stable is that there isn’t any fuel to burn, so it doesn’t go down or go offline. This is important because in the event of a blackout or brownout, at least there could be some electricity available if a geothermal facility is in operation nearby. Geothermal installations can also be built to the scale they are needed. As mentioned previously, a small residential system can be effective for a home, or a large-scale system with several megawatts could be beneficial for a utility. 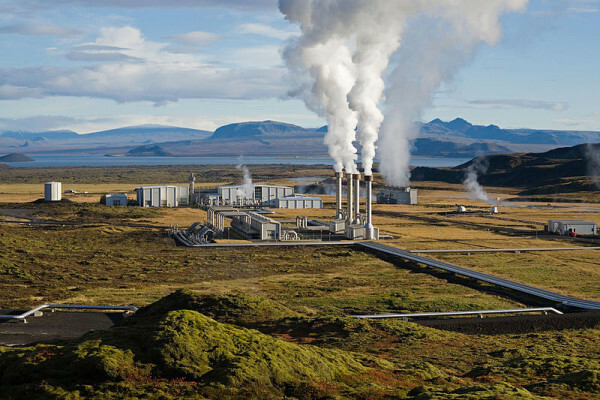 Another advantage of using geothermal energy is that in some areas of the world there are plenty of natural resources available where it can be developed. Currently, the US has about 3,100 MW of geothermal power installed, but the potential has been estimated at about 100,000 MW, which would be enough to provide electricity to over 60 million Americans, according to one source. Can you imagine how many jobs would be created in America if 100,000 MW of geothermal energy was constructed? How about the decrease in harmful air pollution and climate change emissions? How much less coal, oil, gas and natural gas would need to be burned? If this level of geothermal energy was achieved, it would make a huge difference in the quality of life in America and it would employ many people in jobs that were not dangerous, like coal mining and oil extraction. Geothermal energy develop also results in the generation of clean, domestic electricity so no importing of foreign resources is necessary. By investing in domestic energy, a nation can reduce the costs of importing fuel. It isn’t only the US though with a high geothermal potential, Indonesia might have as much as 29,000 MW it could develop. Japan also has a large geothermal potential—as much as 23 GW. A similar situation exists for the oil and gas industry which is multiple times more dangerous than the work the average American does, according to InsideEnergy. Geothermal technology can also last a long time. For example, a geothermal turbine installed in 1960 at The Geysers in California lasted for 30 years. Geothermal is a proven technology—it has been in use for decades, so it isn’t something brand new that needs to be tested repeatedly and have the bugs worked out in order to function well. No storage or transportation of fuel is needed. Geothermal energy production can release hydrogen sulfide with smells like rotten eggs to some people. This gas turns into SO2 or sulfur dioxide which if inhaled, can contribute to heart and lung issues for humans. However, that is for an open-loop geothermal system, and many are closed loop which do not release hydrogen sulfide. Open systems can also release ammonia, CO2, methane, and boron. Also, the amount of hydrogen sulfide released from open geothermal facilities is far less than that produced by coal plants. Mercury can also be generated by some geothermal plants, and that has to be captured and disposed of properly. Another disadvantage is that areas with good geothermal potential are sometimes located in natural landscapes which are sensitive to disturbance by humans. So an environmental awareness must be included in the planning and development of geothermal energy installations. About 80% of Japan’s natural geothermal resources are located in national parks, so there must obviously be much ecological consideration brought to bear in order to develop them, while at the same time maintaining the balance of nature in these protected areas. Over time, the hot water used from the ground might decline in temperature so geothermal technology would produce less electricity and at some point might not make any. Deep earth drilling for some geothermal projects might increase seismic activity, although the occurrence of such a situation has been very rare. In Basel, Switzerland drilling three miles into the Earth was said to have caused an earthquake with a magnitude of 3.4. Not all geothermal projects require such deep drilling though and they are not all located in seismically sensitive areas. The high upfront costs of geothermal are a disadvantage—drilling one well can cost one million dollars. The advantages outweigh the disadvantages, especially if geothermal is compared with fossil fuels. However, wind power and solar power costs continue to decrease, so they may take precedence over geothermal eventually, and for good if they are adopted by the masses. Energy storage technology is emerging too and that is necessary to support wind and power to make it more reliable. So, geothermal might take a backseat to these sources of clean electricity some day.